Regardless if you’re a visual or performance artist or any type of entrepreneur you’ll definitely want to hear she has to say on the subject of creative expression and how we can better use our voices to improve the quality of our lives. 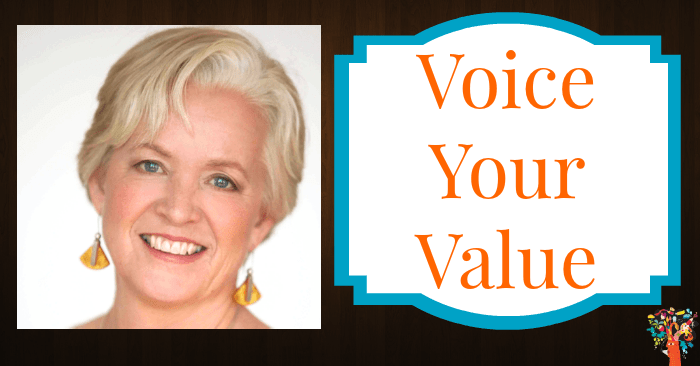 Ariana’s just published a brand new ebook titled Voice Your Value and it’s a phenomenal resource, we’ll be talking about the book and how to get your hands on a copy on the show. So settled in and be prepared to have your mind expanded and welcome my guest for the final episode of the Get Paid For Your Creativity Podcast for 2014, Transformational Voice and Business Coach, Ariana Newcomer! “Our voice is our greatest tool of engagement” Click here to Retweet! “Holding yourself back vocally can appear in your creative expression” Click here to Retweet! “Art is an essential form of expression for humans” Click here to Retweet! “As artists we have to claim our place in our culture and embrace the value of art” Click here to Retweet! “Learning to do marketing well is an art” Click here to Retweet! Artists must release the idea that we can’t charge a premium for our talents” Click here to Retweet!